Warsaw sophomore Jacqueline Sasso lets fly with a serve during her sectional match Thursday at WCHS. Sasso won 6-0, 6-0 at No. 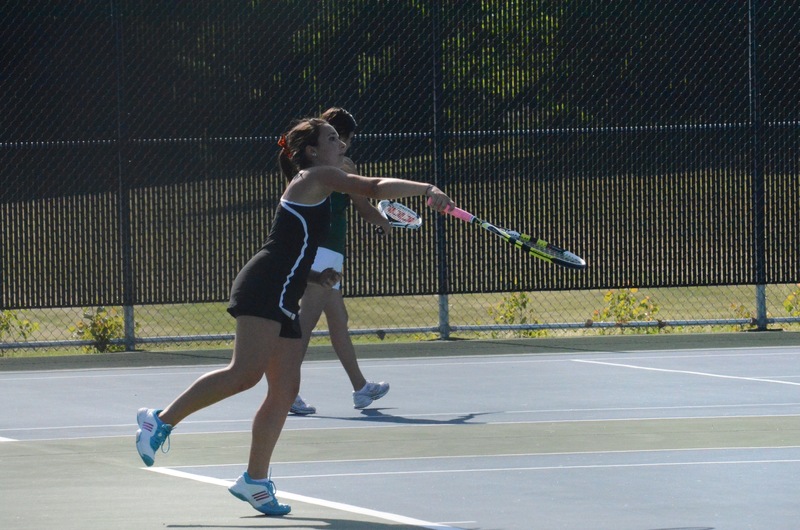 2 singles to help the Tigers to a 5-0 semifinal win over Tippecanoe Valley.